If you have stored data on CDs, DVDs or even floppy disks, you might sooner or later end up with unreadable files. 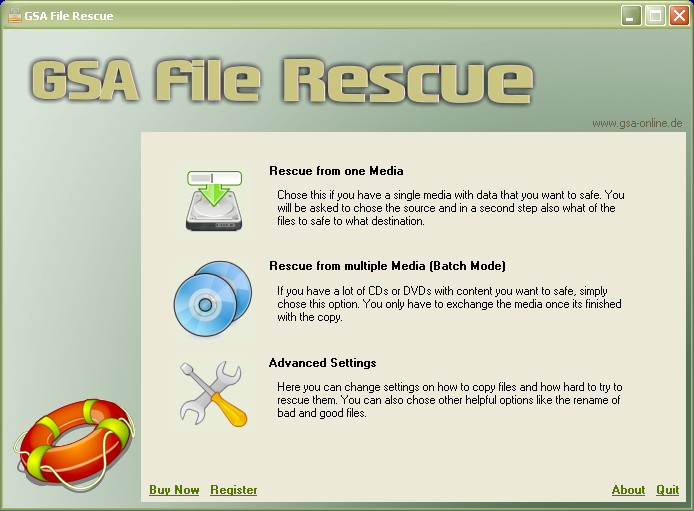 You may have already damaged files that you can't open any more due to corrupted or defective media.With GSA File Rescue you are able to safe as much of the file as possible instead of losing everything. Usually programs will not let you open a damaged file even if just a single bit is unreadable.